Scotland’s Ghost Trail leads visitors on a journey into the unknown with stories about spirits said to haunt locations across the country. Spooks include two green ladies, Jacobite soldiers, a terrifying train and a headless drummer. 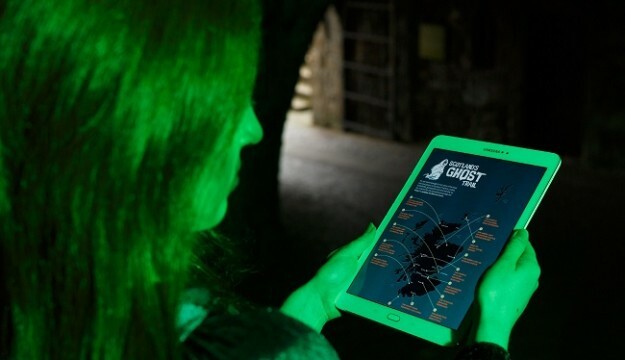 Scotland’s bloody past has left its mark on the country in the form of a new Ghost Trail created by VisitScotland. From ghostly graveyards to creepy castles there are plenty of places spirits may lurk in the shadows and visitors now have a handy map to get ghost hunting. With Halloween around the corner, myth, legend, landscape and history have combined to create this route, taking in landmarks and lesser-known spotsthroughout the country. Scotland is arguably the home of Halloween – or Samhain as it was originally known. The celebration of all things spooky originates from the ancient Celts’ celebrations and is based on their ‘Feast of Samhain’. The eve became known as All Saints’ Eve, All Hallows’ Eve, or Hallowe’en. Scotland’s Ghost Trail features a collection of places believed to be haunted by soldiers, sailors, pipers, dogs and even trains so visitors can enjoy some fright-seeing on their next trip to Scotland. The macabre map will be available to download at www.visitscotland.com/ghosttrail and launches in time for the fearsome festivities. Malcolm Roughead, VisitScotland Chief Executive, said: “Scotland is THE place to be at Halloween with our atmospheric landscape, creepy castles, haunted historic houses, superstitions and bloody history. This time of year brings a huge tourism potential. 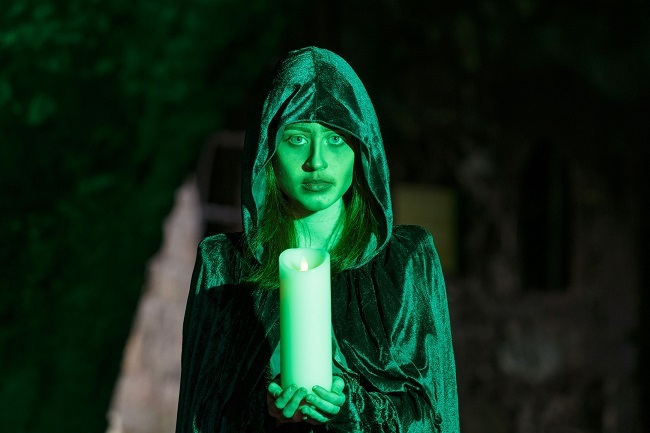 Stirling Castle’s most famous ghostly resident, the Green Lady, is thought to have been a serving girl to none other than Mary Queen of Scots. The story goes that the girl was watching over her mistress one night when a fire caught hold in the queen’s room. The girl managed to save her queen but lost her own life to the flames. Her ghost is said to have haunted the castle ever since. Have you got the courage to drive along Scotland’s Ghost Road at night? The A75 through Dumfries & Galloway is reportedly one of Scotland’s most haunted, with sightings of strange creatures from screaming hags to ghostly horse and carriages. Built on an ancient Norse burial ground, it’s no wonder Skaill House is described as a supernatural hotbed. The mansion’s most famous ghostly resident is Ubby, believed to have once been the man who built the small island in the nearby loch. The bloody Battle of Culloden – the final conflict of the Jacobite Risings – was one of the most harrowing battles every fought on British soil. On 16 April 1746, 1,500 Jacobite soldiers were slain in less than an hour. On the anniversary of the battle, some of the Ghosts of Culloden are said to reappear, including a tartan-clad soldier, lying wounded on the ground. As night settles or dawn draws in, the ghostly sound of drumming has been heard reverberating around the stone fortress of Edinburgh Castle. Legend has it that the sound is made by the Headless Drummer, and if his ghost ever appears in plain sight, it foretells disaster for the castle. The first time he appeared was in 1650 – the fateful year that Oliver Cromwell invaded Scotland and captured the castle, following a three-month siege. Echoing out of a dark cave, on the jagged coastline at Clanyard Bay near Stranraer, the faint sound of the bagpipes has often reached the ears of nearby sailors. The source is said to be the Phantom Piper. In life, the piper is said to have invoked the fury of the cave’s resident fairies by entering with his loyal dog and playing his pipes in their domain. After the sound of his pipes had faded away, only his dog came tearing out alive, but without any of its hair. Step inside the Green Lady’s room at Crathes Castle and feel the chill run down your spine. Said to be the ghost of a servant who fell pregnant out of wedlock, the Green Lady has been seen pacing back and forth from the fireplace, sometimes cradling an infant in her arms. A grisly discovery in the 1800s adds a sinister twist – the remains of a woman and child were uncovered beneath the hearthstone of the very same fireplace. In a tale that spans centuries, Rosslyn’s phantom ghost dog is said to have been a war hound that was slain at the Battle of Roslin in 1303. After the battle, the ghostly apparition of the huge dog was seen by the resident soldiers, and the man who killed the dog’s owner died of terror within days. Nowadays, people sometimes speak of hearing a ghostly howling echoing from the woods that surround Rosslyn Castle’s ruins. Travelling along the now long-gone Dava Railway line, people have reportedly seen a fearsome ghost train charging along, blazing with light and hovering two feet above the tracks. Spotted in the 1920s and 1960s, there’s little explanation for the apparition, except for one story – 30 years earlier a train filled with cattle caught fire at Dava Station, killing the animals on board. Although it’s one of Scotland’s most beautiful beaches, the waters off the coast of Sandwood Bay are treacherous and the area is known as a shipwreck graveyard. Before the lighthouse at Cape Wrath was built in 1828, many poor souls lost their lives here – perhaps explaining the stories of people seeing ghostly sailors on the beach and nearby. On the 13 February 1692, one of the most harrowing incidents in Scottish history took place. In the early hours of the morning, government soldiers – who were posing as friendly visitors – killed 38 men, women and children from the Macdonald of Glen Coe clan. Many others died from exposure after fleeing into the bitter cold. In recent times, people have reported hearing screams in Glen Coe or seeing re-enactments of the massacre, particularly around the anniversary. Dating from 1160, St Andrews Cathedral has more than a few stories to tell. One ghostly apparition is the White Lady who glides along the cathedral walls before vanishing into a tower. This tower has its own curious history, the story goes that in the 1800s stonemasons were repairing the cathedral and discovered a sealed chamber in the tower. Inside were several coffins, including one containing the body of a young woman who was wearing white gloves. On the eve of a Kennedy clan wedding, and on particularly stormy nights, the ghostly piper of Culzean Castle is said to make his presence known by playing his pipes from deep underground. The story goes that the piper and his dog were sent into the caves below the castle to prove that they weren’t haunted. As he made his way through the caves his piping suddenly stopped, and the piper and his dog were never found or seen again. If you hear the beautiful notes of a harp ringing out at in Inveraray Castle, it could be the castle’s ghostly harpist. Believed to have been the harpist of a former Duke of Argyll, the story goes that the young man was murdered by the Duke of Montrose when his men invaded old Inveraray Castle in 1644. Rooms he’s particularly associated with are the library and the MacArthur Room. Head to the blog about Scotland’s Ghost Trail for more information on the locations.